We have said goodbye to the past year and we are welcoming the New Year with lot of hopes, wishes and dreams. This is the best time to reflect on the events of the past year and to make new plans, set goals and commit to resolutions for 2019. The most popular New Year’s resolutions lists typically include: losing weight, eating more healthily and exercising. This clearly points out that people are concerned about health, beauty and wellbeing. Regular physical activity plays an essential role in creating a new, healthier lifestyle. It is not only about weight loss, it can significantly improve the quality of our life, in many and sometimes unexpected ways. Regular physical activity creates a sense of happiness and excitement; makes our bodies more beautiful, strong and attractive; increases our energy levels; helps us relax, relieves stress and aids better sleep; stimulates our nervous system and sharpens our mind and brain; strengthens our heart and helps to build bone density; it can improve our social life etc…the benefits are endless. UP Ultimate Performance is a fitness global venture founded in London, now with branches all around the world, specialising on ‘one to one’ personal training (also online) as well as group training. UP Marbellas facilities consists of an impressive 1500 square meters of indoor gym and 5000 square meters of outdoor training areas. With motivated professionals in indoor and outdoor gym The Unit in San Pedro provides made to measure personal training, group training and nutritional advice. Apolo Stark, located in residential complex of Albatros, La Campana and with branches also in Marbella and Cancelada, offers personalized exercises programs supervised by personal trainers and a mix of weight training and Pilates performed on a special machine, called Gravity. 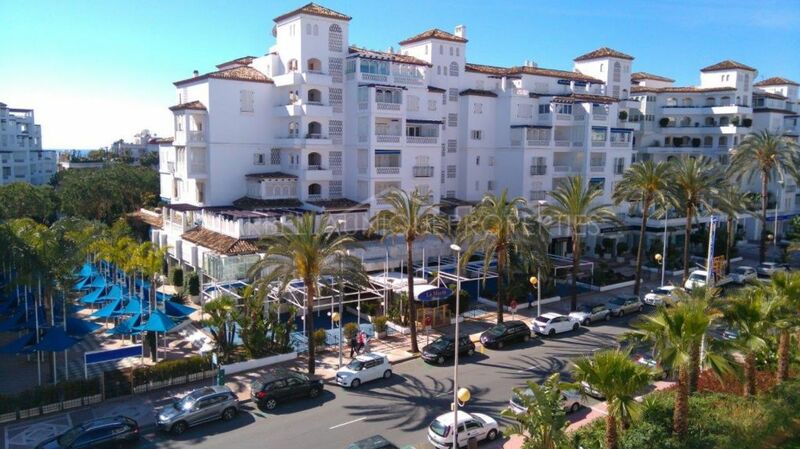 Real Club Padel Marbella just in front of the Locrimar residential complex provides stunning facilities including 10 paddle courts, indoor and outdoor gym, as well as beauty salon, massage services and restaurant. Glow in Playas del Duque is one of the most elegant and exclusive fitness clubs in the Marbella area. Club members can enjoy amazing facilities such as a fitness and activities room, indoor cycling room, heated and salt-water swimming pool, spa and café. It is also possible to play table tennis there. Situated right in the center in the Cristamar shopping mall, Platinum Wellness is the new innovative gym in Puerto Banus committed to integrate technology into the fitness sector with synchronization of smartwatches and gamification; a technology that generates unique experiences through games and challenges to reinforce the customers’ loyalty. 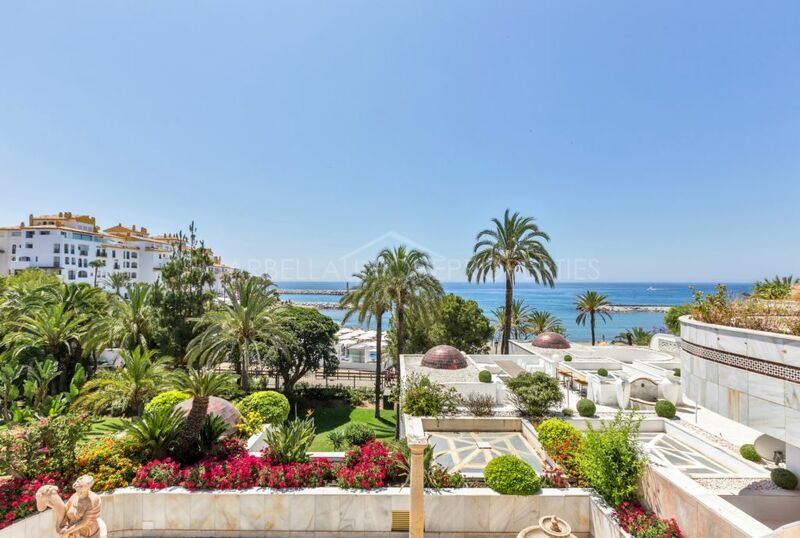 Splendid 3000 square meters of Marbella seafront Plaza Del Mar Centro Wellness Marbella offers amazing sea views and includes two swimming pools, spa, fitness room, two activities rooms and café. There is an incredible list of activities to choose from like spinning, toning, aqua wellness, body pump, zumba, yoga, pilates, body balance, taekwondo and more. Clients can also benefit from a personal trainer or physiotherapist. Dynamic Marbella, awarded the best gym in Marbella 2017, offers a very interesting mix of activities and services. Spinning, TRX, ABS, Pump and Martial arts are some of the activities to choose from and as well as a long list of massages and beauty treatments. 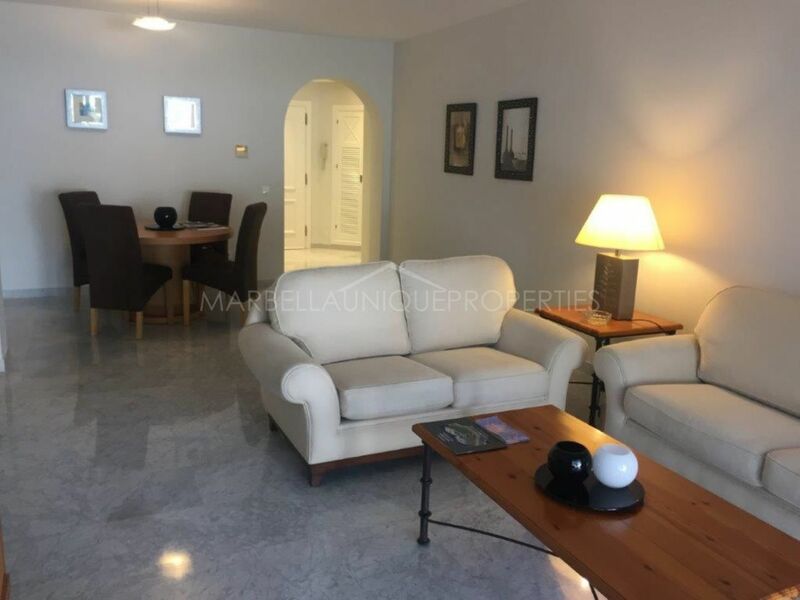 Apart from gyms and fitness clubs, there are also other and more specific types of workout environments available in the Marbella area to enjoy basically any type of sporting activity. 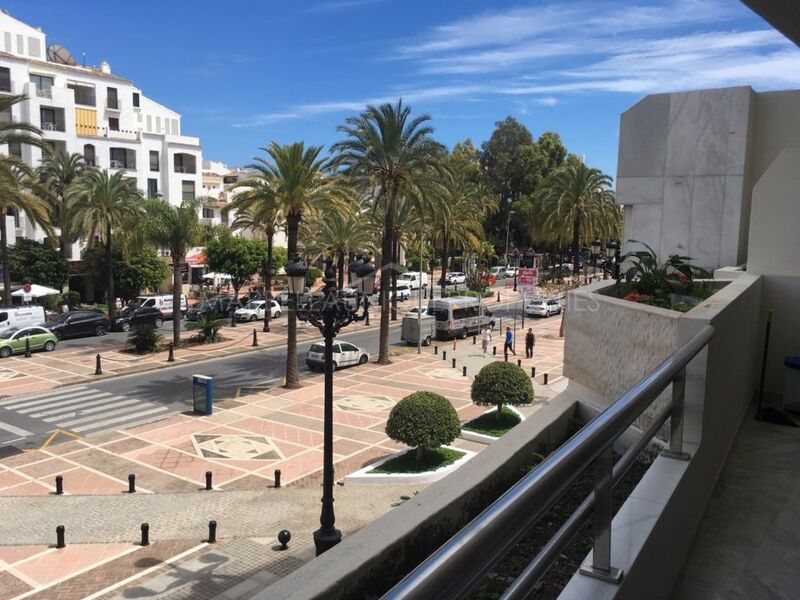 Boxing and kickboxing in Impact Gym Marbella located close to “La Canada” shopping mall; martial arts at the Club Sho-Dan in Marbella Centre; Pilates in Vitality & Health studio on the heart of the Golden Mile; yoga at Radiant Yoga studio in the residential complex of Los Naranjos de Marbella. Those who look for great results in record time could try EMS – muscular stimulation technology combined with a gentle workout at Look Your Best, an exclusive studio in Puerto Banus. Finally the most important thing is to choose the sport activity that you enjoy; this is the best way to get the results! 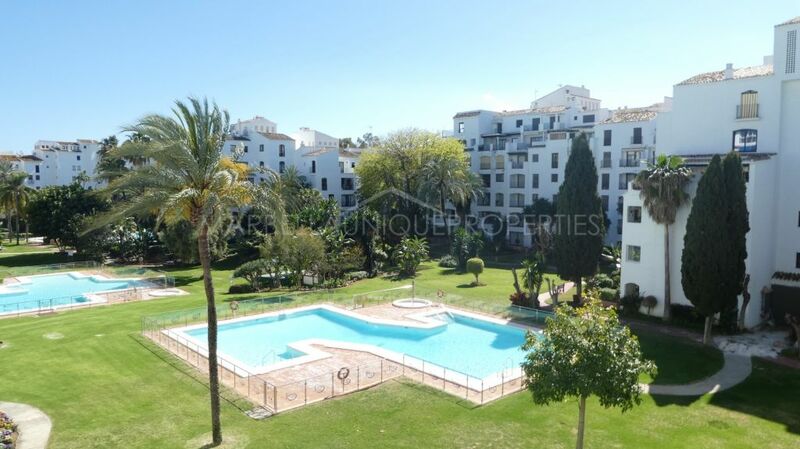 A beautiful west facing 2 bedroom beachside apartment in Terrazas de Banus, Puerto Banus.